Dante De Gori is the Chief Executive Officer of the Financial Planning Association (FPA). Prior to commencing this role on 1 March 2016, Dante spent five years as General Manager, Policy and Conduct at the FPA. In this role, Dante led the FPA’s proactive policy and government relations strategy, participating in key Parliamentary Inquiries, Government Committees and Treasury Working Groups. He also led the formulation of countless FPA policy submissions and has been responsible for overseeing the professional conduct and accountability of FPA members and FPA Professional Practices. 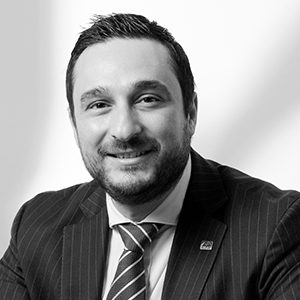 Prior to joining the FPA, Dante worked in technical roles with ClearView Financial Management, Zurich Financial Services and Asteron Life (Suncorp). Dante holds a Bachelor of Commerce (majoring in Finance), a Graduate Certificate in Politics and Policy, a Diploma in Financial Planning, and is currently completing a Masters in Government and Commercial Law. He is a CERTIFIED FINANCIAL PLANNER® professional.